It’s never easy to find the right words to say to someone who is going through a personal loss. “I’m sorry for your loss” just seems so generic, whereas “they will be missed” just doesn’t seem to convey how deep and impactful the loss is. So when death impacts someone close to us, we’re often left struggling with what we could possibly say to make things better. Thankfully, to make a positive impact in someone’s life, you don’t always have to say words at all. You simply have to take action to show that you care. And one of our favorite ways to both express sympathy and support to a family or friend during their time of loss is with flowers. While many people are beginning to throw tradition to the wind when it comes to funeral service (or, more often than not, a life celebration), others are still very traditional when it comes to what you should do, say and send when it comes to a funeral. For instance, the immediate family are typically the ones to purchase the beautiful flower spray that often adorns the casket, and close family members often send larger arrangements like standing sprays. If you are unsure of which type of arrangement is most appropriate for you to send to a funeral service, have no fear. We have created a simple infographic that will guide you through which type of flowers you should send to a funeral, based on your relationship with the loved one whose life you are celebrating. Check out our infographic → What Type Of Flower Arrangement Should You Send To A Funeral? As we mentioned earlier, it’s tough to know the right words to say when extending sympathy to someone going through a loss. But just because you are sending sympathy flowers doesn’t mean that you should say nothing at all… especially when it comes to the card message on your funeral flowers. At the very minimum, you should always include a simple, yet thoughtful message of support, and the name of the family, group or individuals that are sending the arrangement. For example, “With deepest sympathy, The Smith Family.” This helps the immediate family know who to thank for the beautiful expression of support, and ensures that you are represented at the life celebration. For even more touching sympathy messages, shop for your funeral arrangement through The Sympathy Store, where we offer tons of complementary gift messages — from heartfelt to classic — to finalize your beautiful arrangement. We live in an Amazon-dominated world, where the average consumer isn’t worried about where their goods are coming from… only that they arrive as quickly and painlessly as possible. So when it comes time to purchase flowers for an urgent occasion, like a funeral service, most people look to the same place they do all of their shopping these days — online. But not all online floral delivery services are the same. When looking for same or next-day floral delivery services, don’t make the mistake of ordering flowers shipped in a box from some generic, cold warehouse. Instead, look for websites that guarantee local florist-made, hand-delivered arrangements, like The Sympathy Store. Not only does ordering from The Sympathy Store ensure that your arrangement is made by local florists with hometown quality and care, but we also work closely with florists that our funeral home’s know and trust. This ensures that your arrangement doesn’t get dropped off on a doorstep, but is made and hand-delivered by those who know how much your flowers mean to their neighbor in the community. Funerals happen on a very fast timeline… sometimes even taking place less than a week after a loved one’s passing. And unfortunately, with so much chaos around the planning process, and the speed at which events take place, it’s not unusual for some family and friends to learn about a funeral service after it has already taken place. However, just because you might have missed the opportunity to attend a funeral service in person or send arrangements to the funeral home, that doesn’t mean you have missed your opportunity to show support all together. 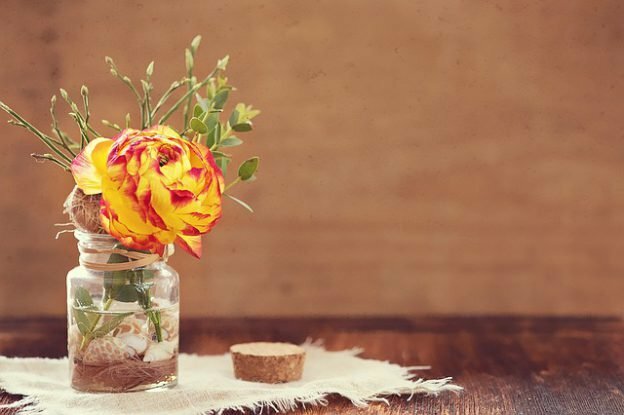 It’s very common (and thoughtful) for friends and family to send sympathy flowers and gifts right to a family member’s home after the funeral service has ended. This is not only a great way to ensure that they are able to enjoy your sentiment of support in the comfort of their own home, but it’s also a welcome reminder of comfort that can come a week, a month or even a year after all of the other funeral arrangements are gone. Last, but not least, it’s important that you keep the loved one whose life you are honoring at the forefront of every decision you make when choosing your sympathy arrangement. More often than not, when it comes time for people to choose flowers, they focus on their personal favorite colors or their favorite type of flower. But sympathy flowers are about more than that. They represent a life that is worth remembering, a story that is worth telling and many memories that will never fade. The flowers you choose should reflect that. What were your loved one’s favorite colors? What were their favorite kind of flowers? What were some inspiring songs or quotes that made you think of them? Share these elements in the arrangement that you choose, because the family that you are sending your support to needs these reminders more than ever during this time. If you are looking to send a beautiful expression of support to a friend or family member in their time of need, look no further than The Sympathy Store. Click here to start shopping for locally-made, hand-delivered flower arrangements today. Flowers are the best medium to express feelings!! When words fall apart these blooms take their place and give a subtle meaning. Still, your tips should be kept in mind. Nice Info. Thanks and keep writing.